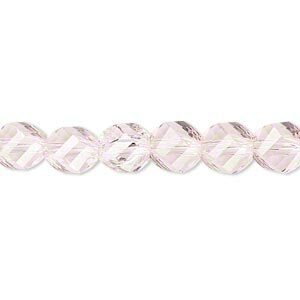 Bead, glass, 34-facet, pink, 8mm faceted twisted round. Sold per 8-inch strand. Twisted round beads with a unique, complex cut feature sleek geometry of parallel facets, giving each bead sparkle and brilliance. Colors, shapes and sizes may vary slightly due to different dye lots and cutting techniques. Items are made with solid color glass, which means the base color of the glass is saturated throughout the object and will not fade or rub off over time. 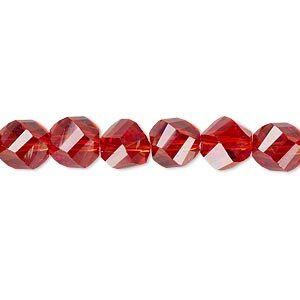 Bead, glass, 34-facet, transparent red, 8mm faceted twisted round. Sold per 8-inch strand, approximately 25 beads. 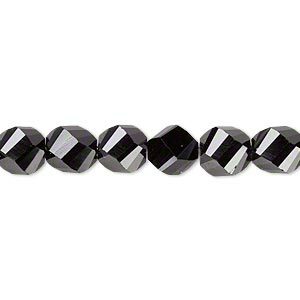 Bead, glass, 34-facet, opaque black, 8mm faceted twist round. Sold per 8-inch strand, approximately 25 beads. 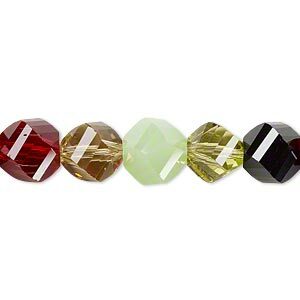 Bead, glass, 34-facet, multicolored, 8mm faceted twisted round. Sold per 8-inch strand. 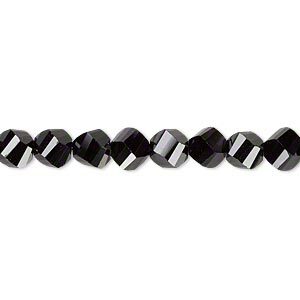 Bead, glass, 34-facet, opaque black, 6mm faceted twisted round with 0.8-1.3mm hole. Sold per 8-inch strand, approximately 35 beads. 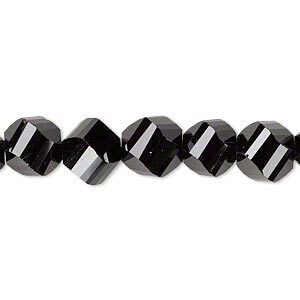 Bead, glass, 34-facet, opaque black, 10mm faceted twisted round. Sold per 8-inch strand, approximately 20 beads. 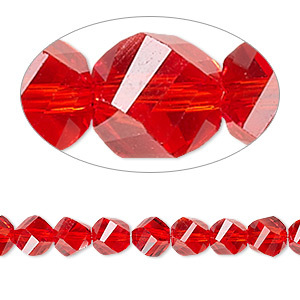 Bead, glass, 34-facet, transparent red, 6mm faceted twisted round with 0.8-1.3mm hole. Sold per 8-inch strand, approximately 35 beads. 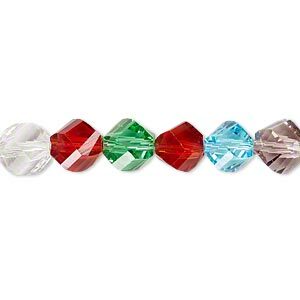 Bead, glass, 34-facet, multicolored, 10mm faceted twisted round. Sold per 8-inch strand, approximately 20 beads. 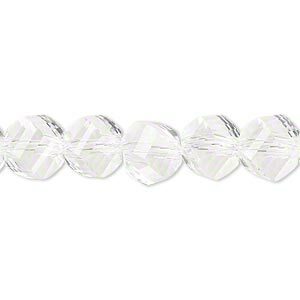 Bead, glass, 34-facet, transparent clear, 10mm faceted twisted round. Sold per 8-inch strand, approximately 20 beads. 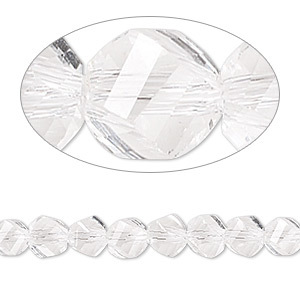 Bead, glass, 34-facet, transparent clear, 6mm faceted twisted round with 0.8-1.3mm hole. Sold per 8-inch strand, approximately 35 beads.